“These days I know what to look for – a leaf that’s not whole, a petal with a pimple. My eyes have grown used to spotting where an insect might be lurking.” Jennifer Gosling is bonkers about bugs, and has hunted down hundreds with her camera lens in the woods near her Eastleigh home. She has never earned a penny from her images – in fact she only started snapping nature in 2012, when her daughter gave her a camera after she retired. Yet her curious woodland passion has spawned a superlative gallery of work – laid out in close-up over this article. 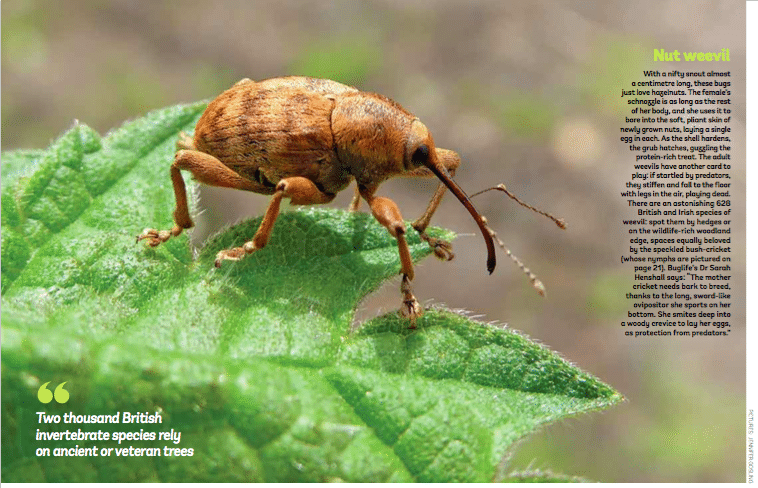 To read the full version of this article in Broadleaf, the magazine for members of the Woodland Trust, click here. To find out more about the Woodland Trust, click here.